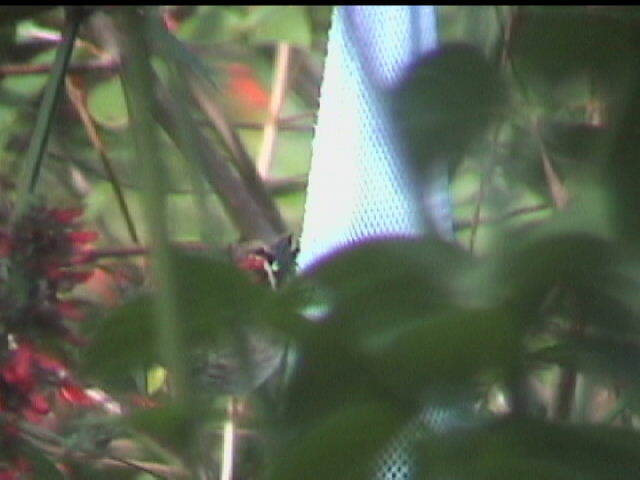 These are links to photos of the "mystery finch" that showed up in my Valrico Florida yard on Thanksgiving Day 2004. Valrico is about ten miles east of Tampa. At first glance, I thought it was an American Goldfinch. 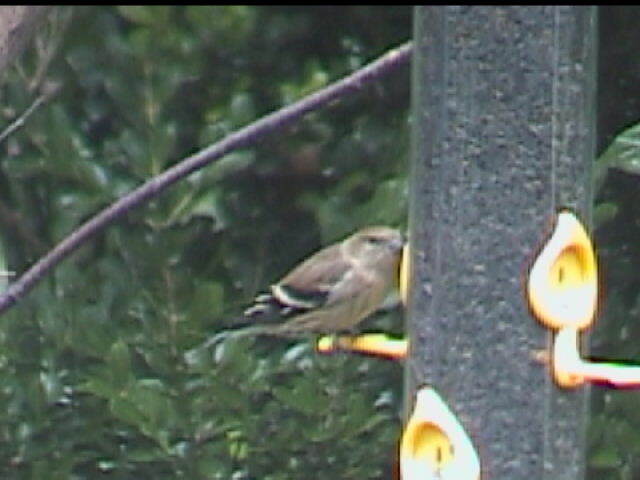 It was on a feeder with three other birds, all American Goldfinches. The size, shape, color, and posture all fit for the goldfinch. The problem with identification was that the bird was obviously streaked on the breast, down the flanks, and on the back. My attempts to video the bird from inside the house resulted in the first few pictures in the list of links below (finch1-3). 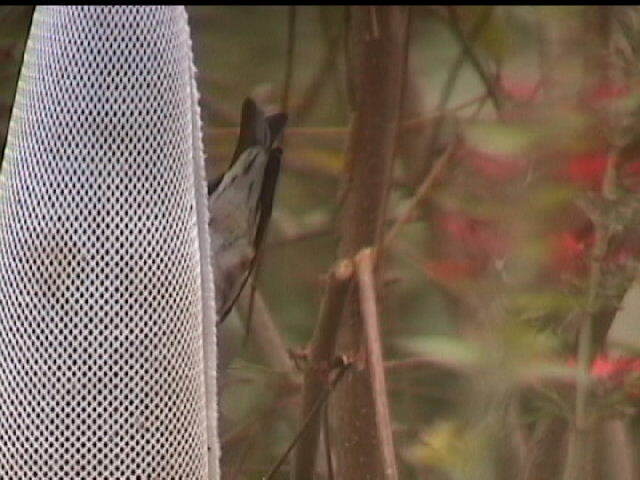 The following morning I was able to video the bird from outside but it refused to move on the sock (finch4 and 5). Trying to get a better angle flushed the bird and it didn't come back. 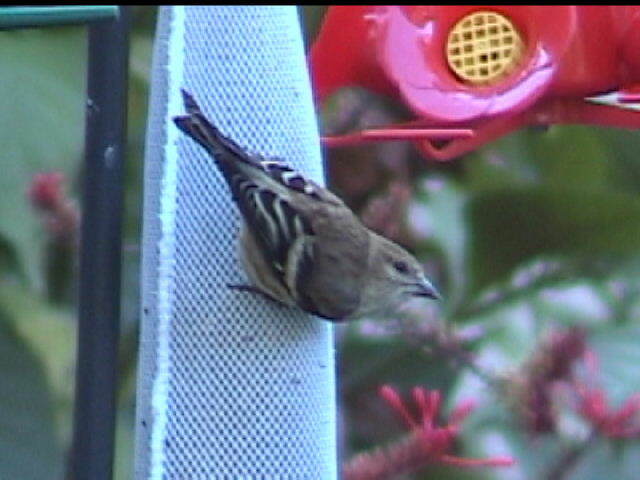 This past Saturday, I was able to video the undertail coverts on the bird (finch7) and at a thistle feeder (finch6). 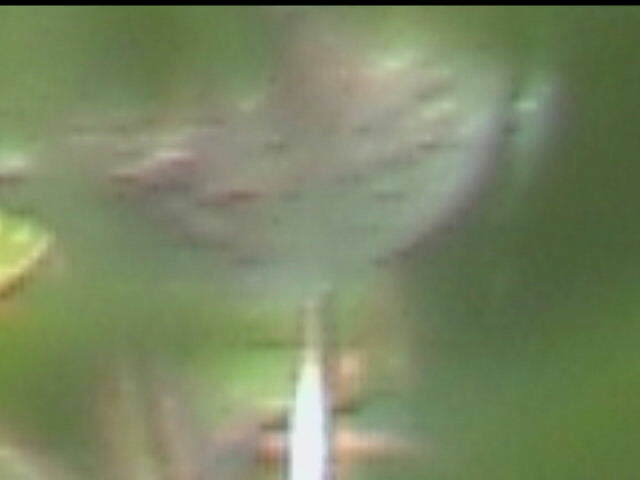 Picture of finch showing face and tip of bill. 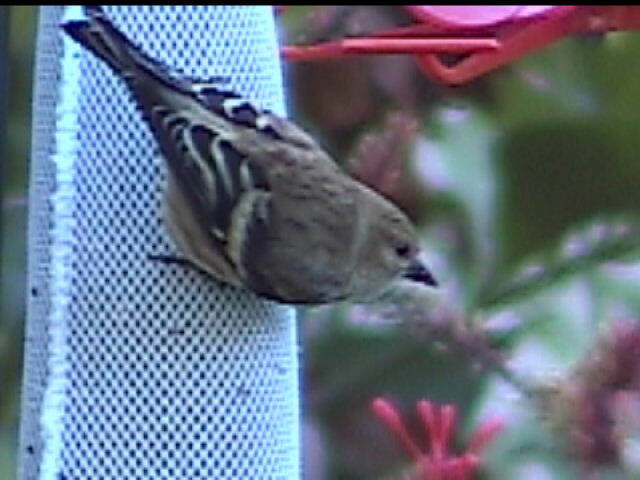 Picture of finch showing streaking on breast. Digital zoomed in on breast (probably not much help). Digital zoom on back trying to show streaking. I was never able to get the true streaking on film. Best shot of bird's back including bill. Note the streak on the flank. 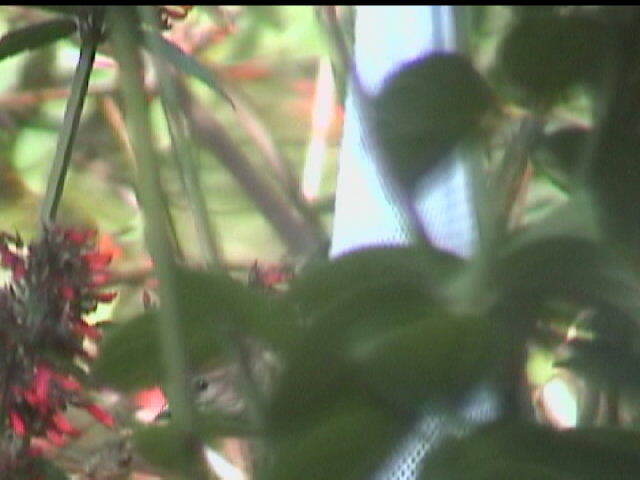 Profile of the bird on thistle feeder. Streaking on the under tail covert.